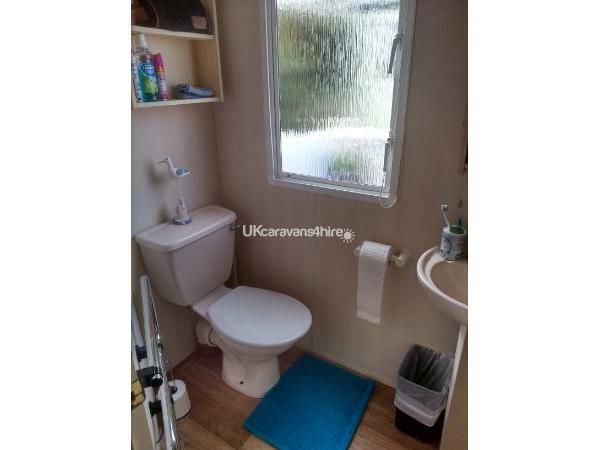 Additional Info: Beach goods, cleaning products, tea,sugar,coffee, ironing board, rotary washing line and pegs, barbecue, memory foam mattress in master bedroom, gas and electricity included, shower room with toilet and washbasin, also separate toilet with washbasin. 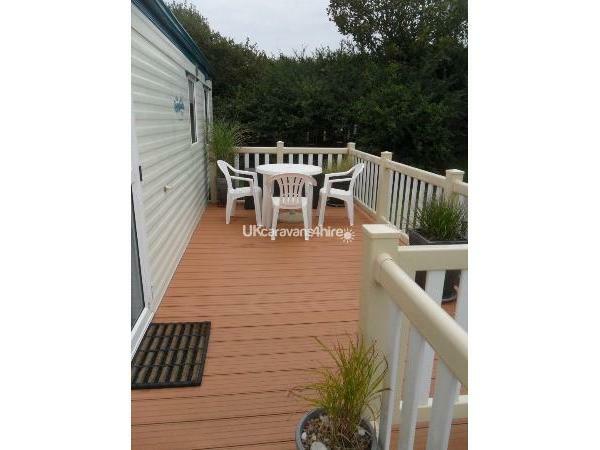 Heated towel rail in shower room, beach umbrellas, bedside lamps in master bedroom, slow cooker, also lots of extra kitchen goods..Cool box for beach.Beautiful decking with patio furniture and parasol, barbeque. 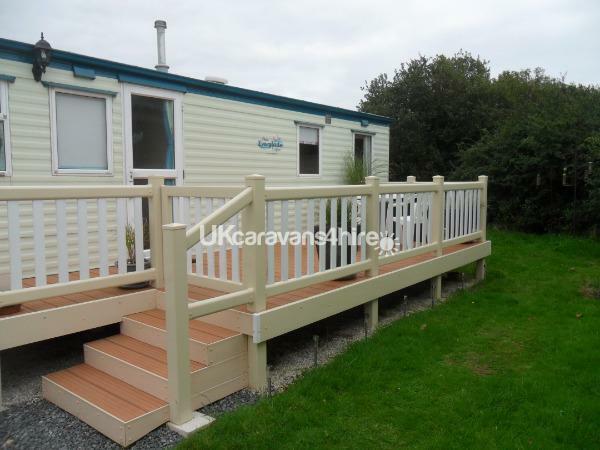 £100 deposit for each week booked (non returnable). Balance of payment no later than 8 weeks before start of your holiday. 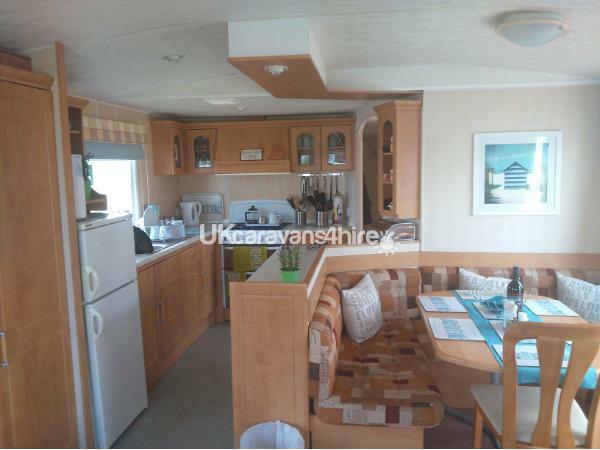 A bond of £100 is also required with final payment and this will be returned to you when the caravan has been inspected after your departure. ***Bookings are from Saturday to Saturday only** A bond of £100 is required to ensure that no damage is caused to the holiday home. 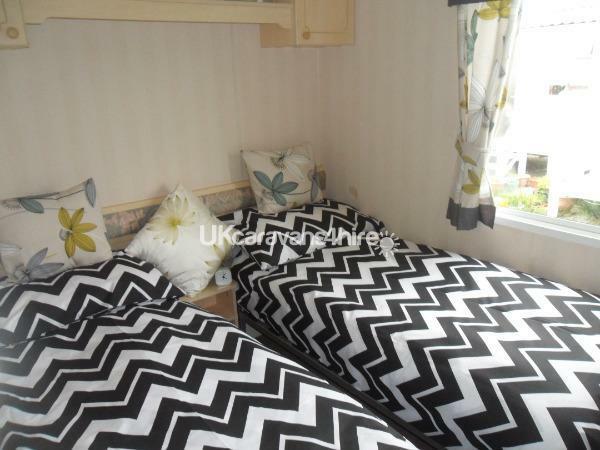 This will be returned at the end of your holiday after the caravan has been inspected. 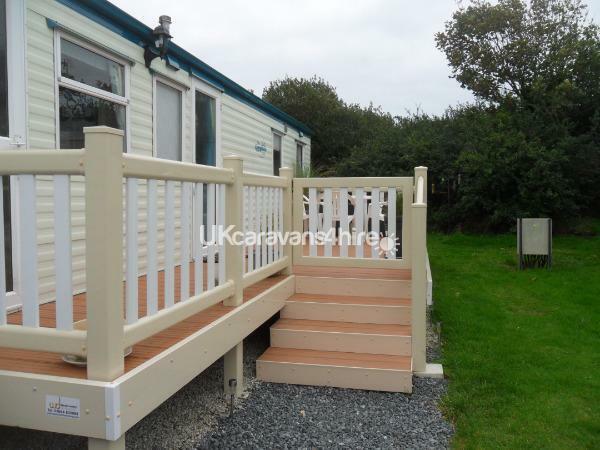 Our caravan is situated on The Sycamores which is a private area for owners,at beautiful Mullion holiday park infar southwest Cornwall.It is a prizewinning Parkdean site. We recently had beautiful decking installed and there is patio furniture so you can sit out in the fine weather and in the evening enjoying a nice glass of wine or beer!! We have also put up bird feeders as there is a fine array of wild birds about the site, so you can sit out on the decking and watch the birds if you wish. We have provided beach toys and umbrellas for your use and there is also a barbecue so you can enjoy an alfresco meal, weather permitting. 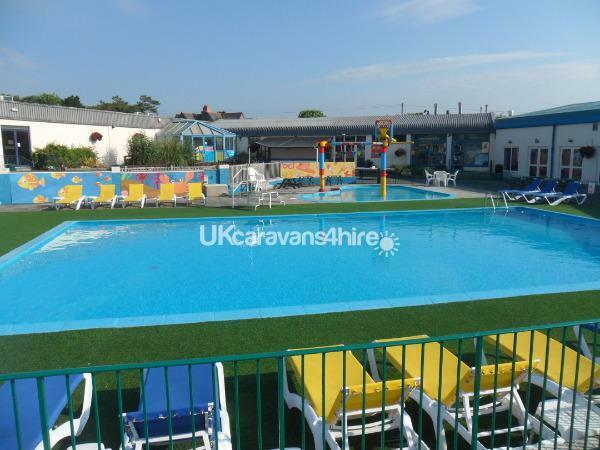 The site is very family friendly, lots to do for the kids with indoor and outdoor pool, kids club, evening entertainment for kids and adults, crazy golf, amusement arcade and playing field for ball games etc. Entertainment passes are required for the club and the swimming pools. These are not provided but can be purchased on collection of keys. THey are £15 each per person in peak season or if you don,t want to use the club, you can buy swimming passes at £2 per day per child or £3 per day per adult. 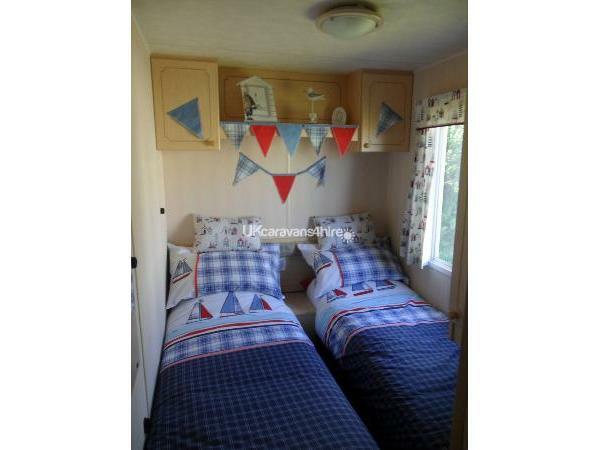 We have endeavoured to make our caravan home from home, just how we like it ourselves, and so have provided some extras to make your stay comfortable. 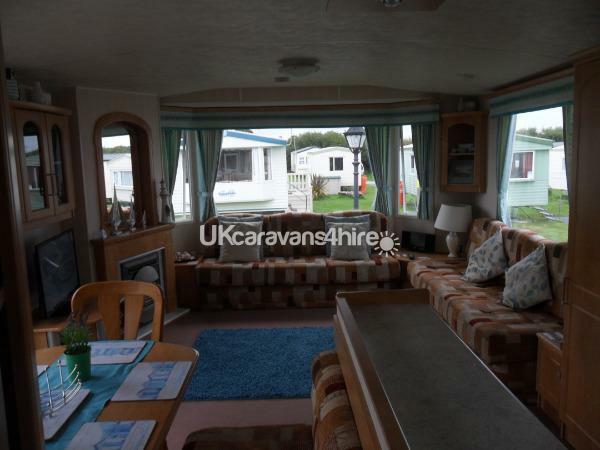 These include memory foam mattress in master bedroom, bedside lamps in main bedroom, iron and ironing board,cool box to take to beach, lots of extra kitchen goods including extra pots and pans, sandwich toaster and slow cooker.Ther is also a dolce gusto coffe e maker and a cafetiere. 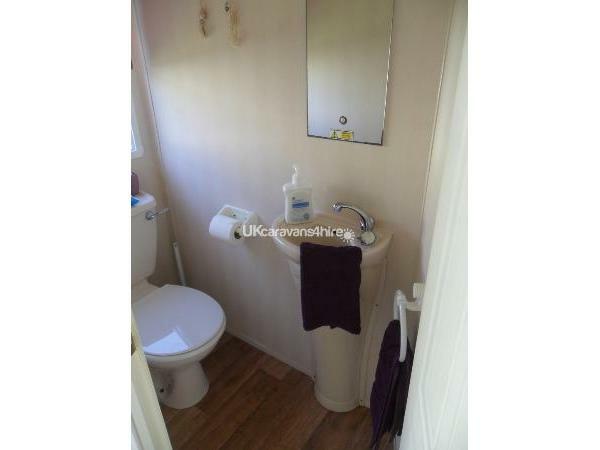 We also include cleaning products and washing up liquid and also a rotary washing line and clothes pegs. There is an on site launderette so you can do your washing there if you wish and dry it on the clothes line provided, or if you wish, there are dryers in the launderette. 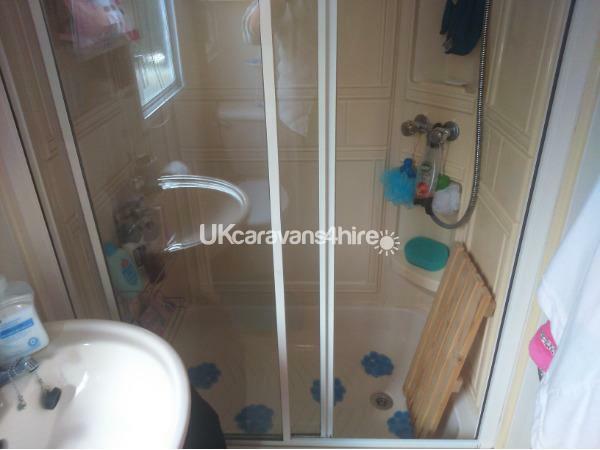 The caravan also has two toilets, which is ideal if you have kids. 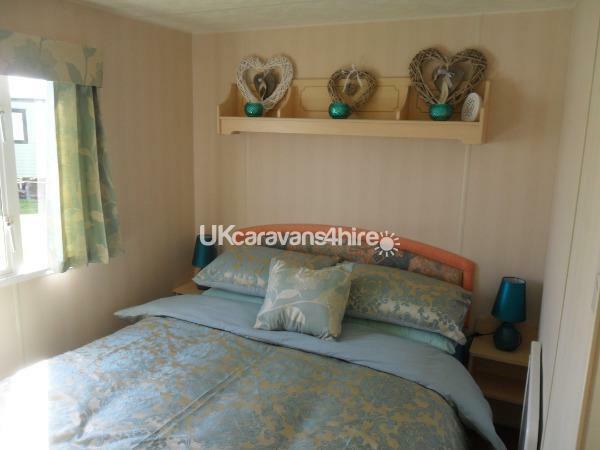 *****You will need to provide your own bedlinen,towels and teatowels***** All duvets ,pillows and soft furnishings have been laundered for the new season 2019. Only 2 weeks of main school hols remaining. Special price of 630 per week if booked soon. Also easter week 20th to 27th april special price 280.